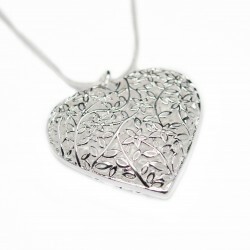 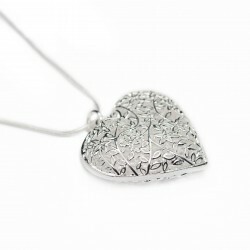 This beautiful silver hollow heart pendant held by a thin classic chain, is affordable and can be found on the best fashion jewellery website. 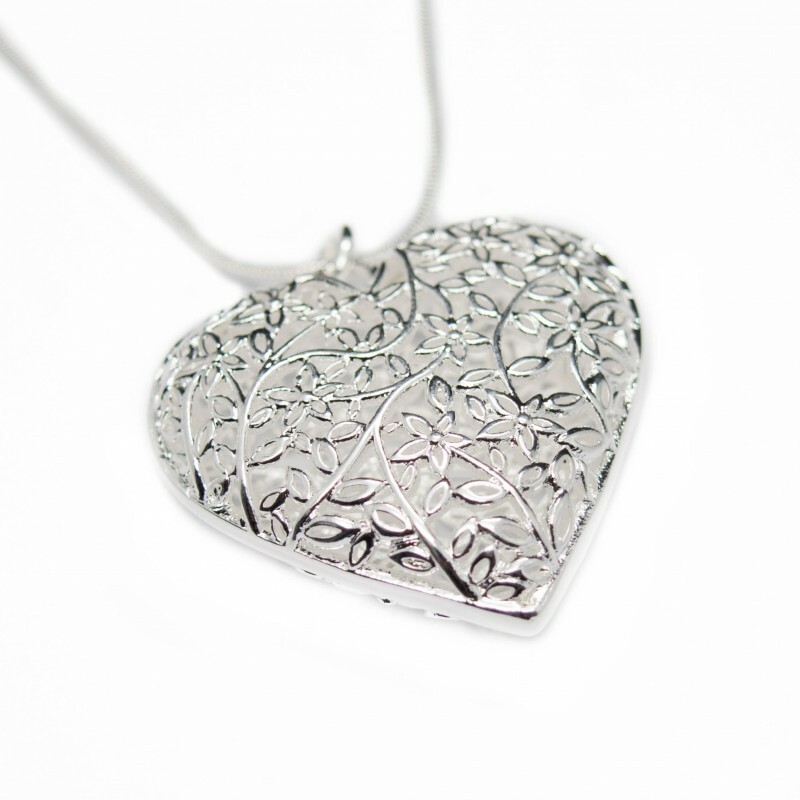 On our website, the Heart pendant is quite common, but this one is special, with its voluminous shape and its pattern of flowers. 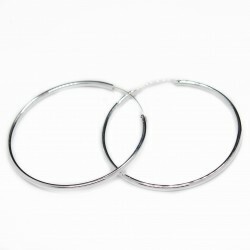 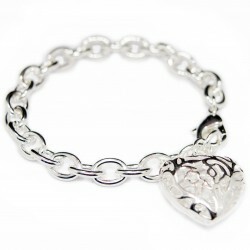 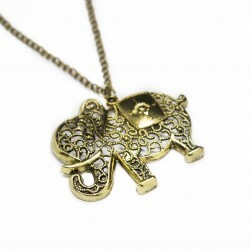 This piece of jewellery is sure to get you noticed during important parties or in everyday life. 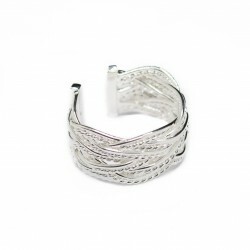 It also goes well with any clothing style. 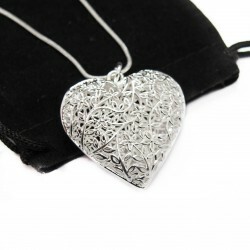 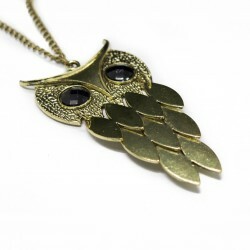 With the purchase of this affordable necklace, you will receive the necklace box as a gift, as well as loyalty points.